Nepal, the land of natural beauty has many things to offer in its coffer to its guests (tourists). To make your Nepal stay memorable & enjoyable Regulus stepped up with the concept of a day tour in Nepal. 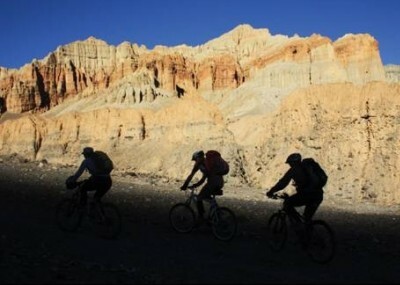 We have lots of day tour activities one can do during the stay in Nepal. Regulus has framed day tour in such a manner that our guests will derive ultimate satisfaction from each and every minute of their brief stay in this Himalayan nation. Regulus designed day tour is based on the interest & request of our guest. In this time length of your trip to Nepal, you squeeze entire fun of the trip making your Nepal stay blissful making it one of the best moments of your life to cherish. The day trip is targeted to everyone from a business person to lonely traveler and seekers (spiritual) to adventurers. Visit all four World Heritage Sites of Kathmandu—Kathmandu Durbar Square, Pashupatinath, Bouddhanath and Swoyambhunath are much preferred & recommended Kathmandu day tour of Regulus. Besides, rafting, cycling, paragliding, mountain flight, day hike among others are equally operated by Regulus. Almost every trekker who visits Nepal for the treks like Everest, Annapurna, Langtang, Dolpa, Manaslu, Manang, Mustang, Makalu, and Kanchenjunga save at least 1 day at the end of their treks or before the trek either for Kathmandu day tour or for some extra adventure tour out of the valley. That includes paragliding in Pokhara, white water rafting, fishing, day hike to Nagarkot, mountain flight, bungee jump, a day cycling tour & zip fly. Depending upon your interest & choice of day tour we book your trip, provide you guide, necessary equipment and information. We assist our guests in all possible way to make the trip colorful from all perspectives. This is not just a commitment that we make to our guests, it is our promise. We 'Regulus Nepal' promise to make your Nepal tour an unforgettable memory of a lifetime.